Today is Wombat Day in Australia, an unofficial celebration of a marsupial that can hardly be said to be emblematic of the country worldwide, but is, nonetheless, celebrated in numerous ways. On the radio when I was a boy there was the muddleheaded wombat, for example (who had a red bicycle that once tried to bite him – it treely ruly did!!). Wombats are short-legged, muscular quadrupedal marsupials that are native to Australia. They are about 1 m (40 in) in length with small, stubby tails. There are three extant species and they are all members of the family Vombatidae. They are adaptable and habitat tolerant, and are found in forested, mountainous, and heathland areas of south-eastern Australia, including Tasmania, as well as an isolated patch of about 300 ha (740 acres) in Epping Forest National Park in central Queensland. Wombats dig extensive burrow systems with their rodent-like front teeth and powerful claws. One distinctive adaptation of wombats is their backward pouch. The advantage of a backward-facing pouch is that when digging, the wombat does not gather soil in its pouch over its young. Although mainly crepuscular and nocturnal, wombats may also venture out to feed on cool or overcast days. They are not commonly seen, but leave ample evidence of their passage, treating fences as minor inconveniences to be gone through or under, and leaving distinctive cubic feces. Wombats are herbivores; their diets consist mostly of grasses, sedges, herbs, bark, and roots. Their incisor teeth somewhat resemble those of rodents, being adapted for gnawing tough vegetation. Like many other herbivorous mammals, they have a large diastema between their incisors and the cheek teeth, which are relatively simple. Female wombats give birth to a single young in the spring, after a gestation period, which like all marsupials can vary, in the case of the wombat: 20–21 days. They have well-developed pouches, which the young leave after about six to seven months. Wombats are weaned after 15 months, and are sexually mature at 18 months. A group of wombats is known as a wisdom (in textbooks only), a mob, or a colony. Wombats typically live up to 15 years in the wild, but can live past 20 and even 30 years in captivity.The longest-lived captive wombat lived to 34. Wombats have an extraordinarily slow metabolism, taking around eight to 14 days to complete digestion, which aids their survival in arid conditions. They generally move slowly. When threatened, however, they can reach up to 40 km/h (25 mph) and maintain that speed for up to 90 seconds. Wombats defend home territories centered on their burrows, and they react aggressively to intruders. The common wombat occupies a range of up to 23 ha (57 acres), while the hairy-nosed species have much smaller ranges, of no more than 4 ha (10 acres). Dingos and Tasmanian devils prey on wombats. 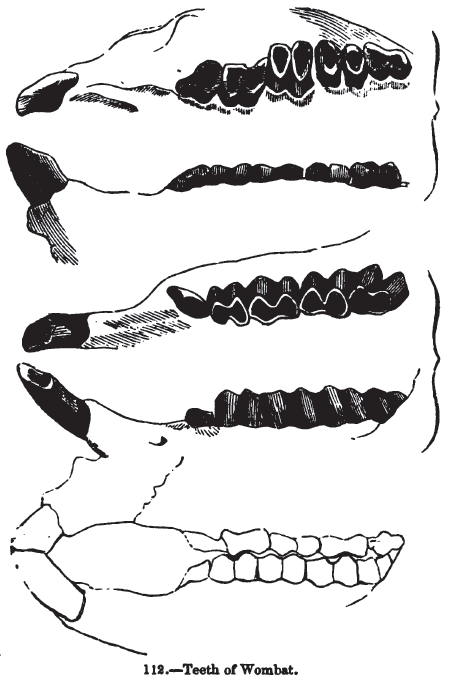 Extinct predators were likely to have included Thylacoleo and possibly the thylacine. Their primary defense is their toughened rear hide, with most of the posterior made of cartilage. This, combined with its lack of a meaningful tail, makes it difficult for any predator that follows the wombat into its tunnel to bite and injure its target. When attacked, wombats dive into a nearby tunnel, using their rumps to block a pursuing attacker. A wombat may allow an intruder to force its head over the wombat’s back, and then use its powerful legs to crush the skull of the predator against the roof of the tunnel, or drive it off with two-legged kicks, like those of a donkey. Depiction of the animals in rock art are exceptionally rare, though examples estimated to be up to 4,000 years old have been discovered in the Wollemi National Park. 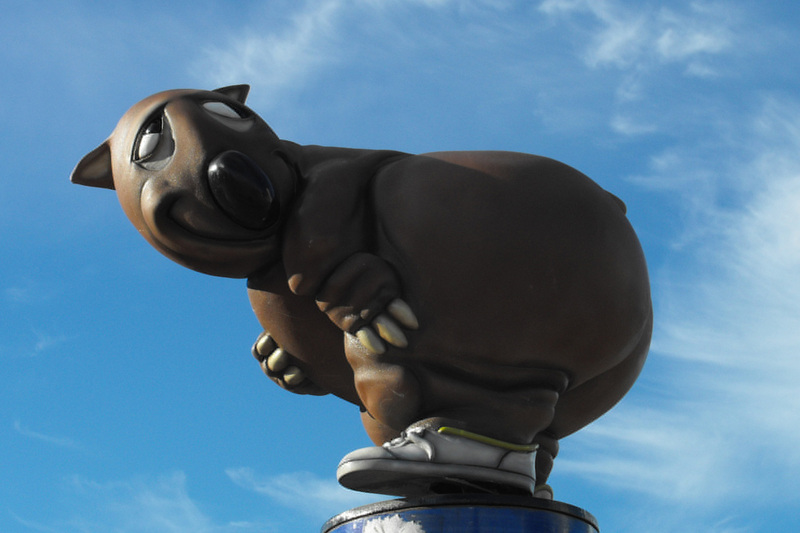 The wombat is depicted in aboriginal Dreamtime as an animal of little worth. 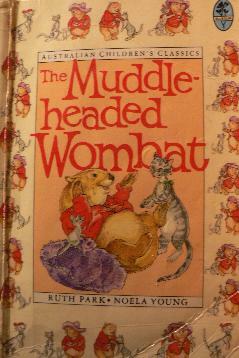 The mainland stories tell of the wombat as originating from a person named Warreen whose head had been flattened by a stone and tail amputated as punishment for selfishness. In contrast, the Tasmanian aboriginal story first recorded in 1830 tells of the wombat (known as the drogedy or publedina) the great spirit Moihernee had asked hunters to leave alone. In both cases, the wombat is regarded as having been banished to its burrowing habitat. Estimates of wombat distribution prior to European settlement are that numbers of all three surviving species were prolific and that they covered a range more than ten times greater than that of today. We saw several sorts of dung of different animals, one of which Wilson called a Whom-batt, which is an animal about 20 inches high, with short legs and a thick body with a large head, round ears, and very small eyes; is very fat, and has much the appearance of a badger. 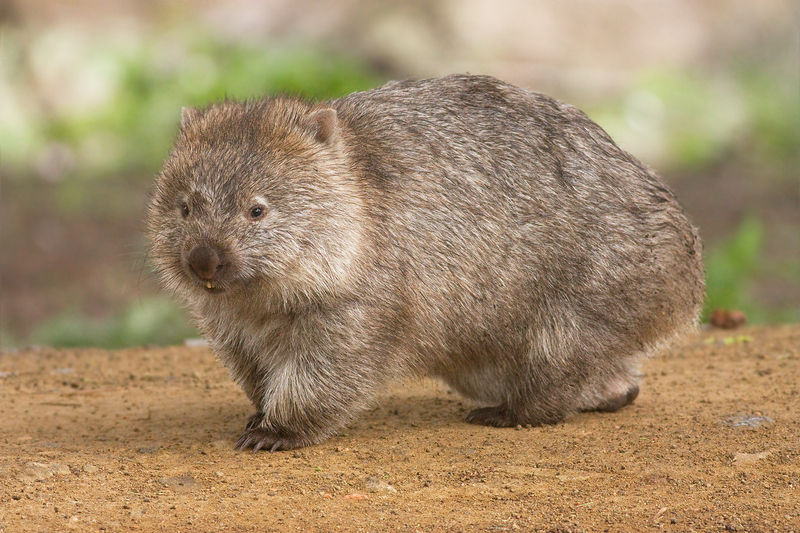 Wombats were often called badgers by early settlers because of their size and habits. Because of this, localities such as Badger Creek, Victoria, and Badger Corner, Tasmania, were named after the wombat. The spelling went through many variants over the years, including ‘wambat’, ‘whombat’, ‘womat’, ‘wombach’, and ‘womback’, possibly reflecting dialectal differences in the Darug language. 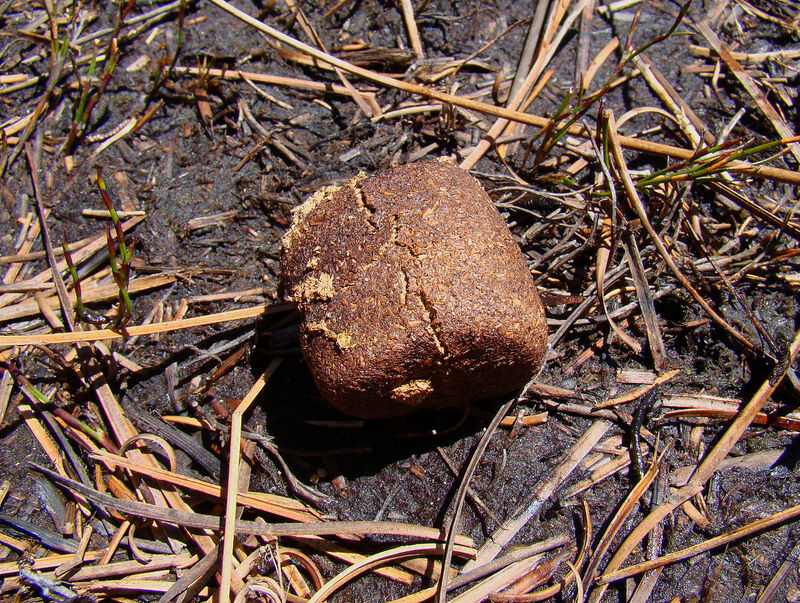 Wombat meat has been a source of bush food from the arrival of aboriginal Australians to the arrival of Europeans. 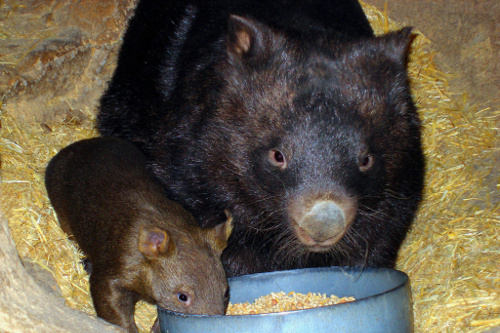 Due to the protection of the species, wombat meat as food is no longer part of mainstream Australian cuisine, but wombat stew was once a truly Australian dish. 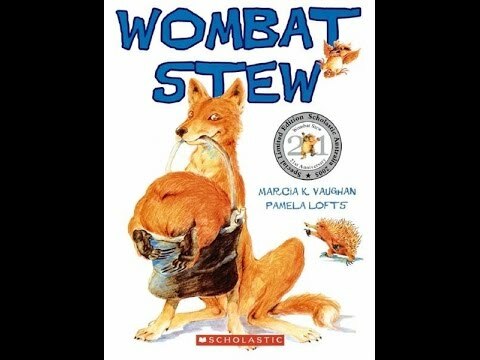 In the book Wombat Stew, Dingo catches a fat wombat and decides to make him into a stew for his lunch. To save Wombat from the stewpot the other animals make sure that Dingo’s stew turns out to be very nasty before Wombat is added to the pot. I wouldn’t be surprised if wombat stew is nasty anyway. I’ve never had it but the meat is likely to be fatty and tough – like eating a raccoon or badger, perhaps. I have eaten raccoon – once – and there will be no repeat performance. 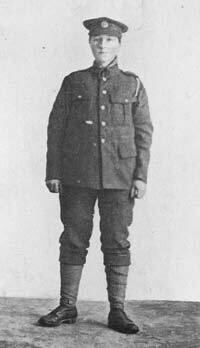 Today is the birthday (1896) of Dorothy Lawrence, an English reporter, who posed as a man so as to be able to work as a soldier during World War I. She is the only English woman known to have served in any military capacity as a man in World War I. There are dozens of women who have served in the military, openly or disguised as men, but Lawrence’s is a special case for many reasons. She had no intention of picking up a rifle; she just wanted to report on the war, thinking she would have a great scoop on her hands. In this sense she was hopelessly naïve. The government severely censored news reports for fear that the British public would turn against the war and recruitment would dry up. For example, photos of dead soldiers were forbidden to be published, and events such as the 1914 Christmas truce in the trenches would never have come to light were it not for stories leaked to newspapers in the US: http://www.bookofdaystales.com/the-christmas-truce/ The High Command was in a panic over the Christmas Truce lest British soldiers saw Germans as people rather than the enemy, and, consequently, refused to fight. Lawrence thought she could send back honest reports from the Western Front; instead her fate was tragic. Lawrence was likely born in Hendon in Middlesex, of unknown parents. She was probably illegitimate and was adopted as a baby by a guardian of the Church of England in Salisbury. Her parentage is under some dispute, however. The Oxford Dictionary of National Biography (which at time of publication in 2004 did not mention details of her life after 1919) reports that Lawrence was born on 4 October 1896 in Polesworth, Warwickshire and was the second daughter of Thomas Hartshorn Lawrence and Mary Jane Beddall. These details may or may not be erroneous. Regardless, she was adopted as an orphan and grew up in Salisbury. 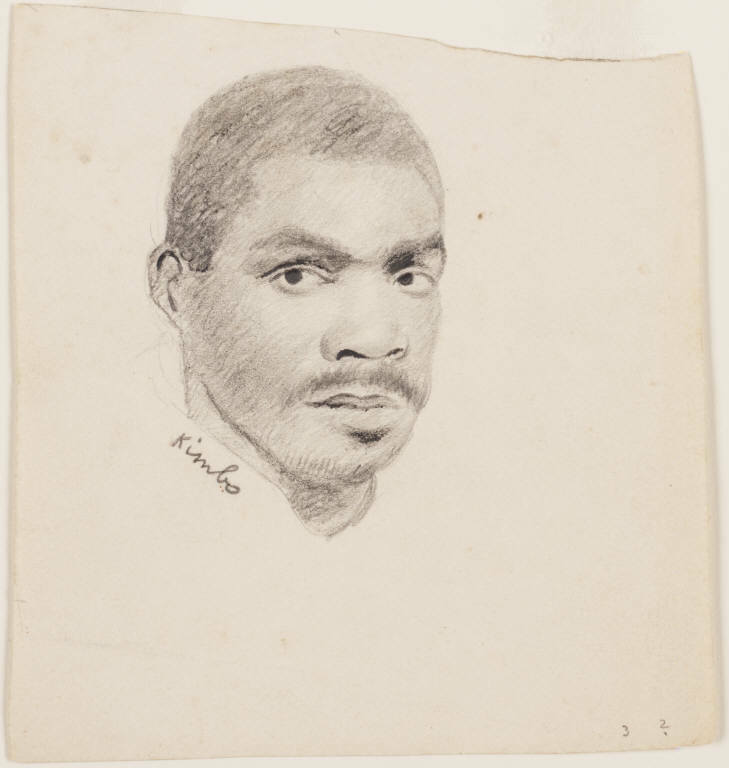 Lawrence wanted to be a journalist and had had success in having some articles published in The Times. At the outbreak of war she wrote to a number of the Fleet Street newspapers in the hope of reporting the war but was rejected. In consequence she travelled to France in 1915, and volunteered as a civilian employee of the Voluntary Aid Detachment. Again she was rejected. Then she decided to enter the war zone via the French sector as a freelance war correspondent, but was arrested by French Police in Senlis, 2 miles (3.2 km) short of the front line, and ordered to leave. She pent the night sleeping on a haystack in a forest, and returned to Paris where she concluded that it was only in disguise the she could get the story that she wanted to write. She befriended two British soldiers in a Parisian café, and persuaded them to smuggle her a khaki uniform, piece by piece, within their washing. Ten men eventually shared in this exploit, later referred to in her book, Sapper Dorothy Lawrence, The Only English Woman Soldier, as the “Khaki accomplices.” She then began practicing transforming herself into a male soldier, by flattening her figure with a home-made corset; using sacking and cotton-wool to bulk out her shoulders; and persuading two Scottish military policemen to cut her long, brown hair in a short military style. She darkened her complexion with Condy’s Fluid, a disinfectant made from potassium permanganate; razored the pale skin of her cheeks in the hope of giving herself a shaving rash; and added a shoe-polish tan. Finally she asked her soldier friends to teach her how to drill and march. 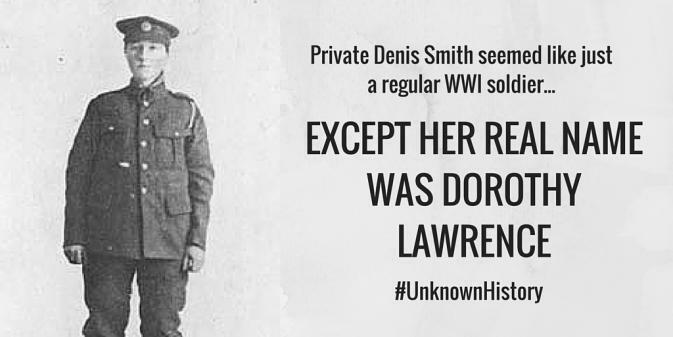 Wearing a blanket coat and no underwear, lest soldiers discover her abandoned petticoats, she obtained forged identity papers as Private Denis Smith of the 1st Bn, Leicestershire Regiment, and headed for the front lines. She set out by bicycle for the British sector of the Somme. On her way towards Albert on the Somme, she met Lancashire coalminer turned British Expeditionary Force (BEF) tunnel-digging sapper Tom Dunn, who offered to assist her. Fearing for the safety of a lone woman amongst female-companionship starved soldiers, Dunn found Lawrence an abandoned cottage in Senlis Forest to sleep in. During her time on the front line, she returned there each night to sleep on a damp mattress, fed by any rations that Dunn and his colleagues could spare. Dunn found her work as a sapper with the 179 Tunnelling Company, 51st Division, Royal Engineers, a specialist mine-laying company that operated within 400 yards (370 m) of the front line. 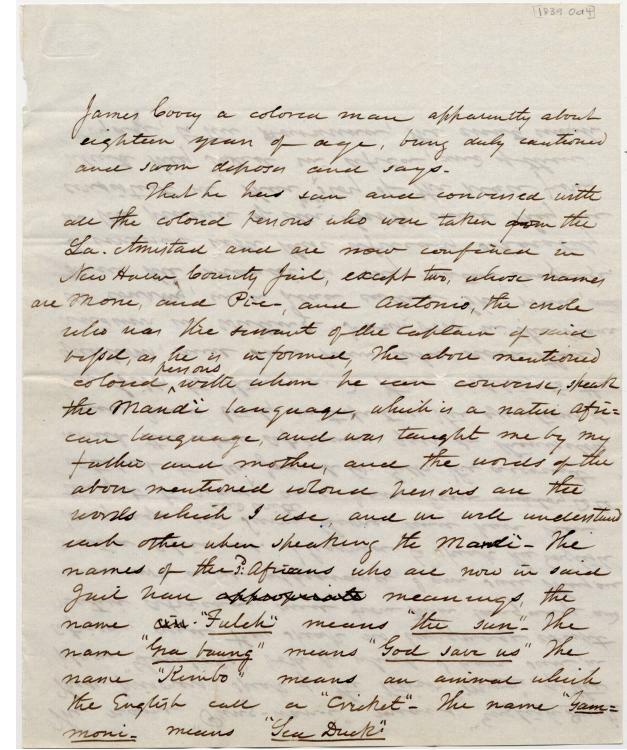 Lawrence writes that she was involved in the digging of tunnels. But later evidence and correspondence from the time after her discovery by British Army authorities, including from the files of Sir Walter Kirke of the BEF’s secret service, suggest that she did not undertake this highly skilled digging work, but work within the trenches with a degree of freedom. The toll of the job, and of hiding her true identity, soon led to illness including constant chills and rheumatism, and latterly fainting fits. Because she was concerned that if she needed medical attention her true gender would be discovered and the men who had befriended her would be in danger, after 10 days of service she presented herself to the commanding sergeant, who promptly placed her under military arrest. From Calais she was taken to Saint-Omer and further interrogated. 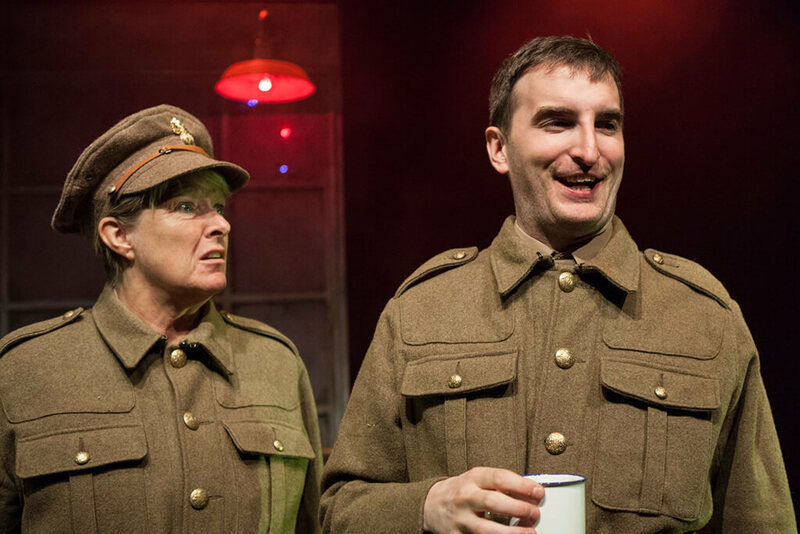 The Army was embarrassed that a woman had breached security and was fearful of more women taking on male roles during the war if her story got out. On the orders of a suspicious judge, fearing she could release sensitive intelligence, he ordered that she remain in France until after the Battle of Loos. 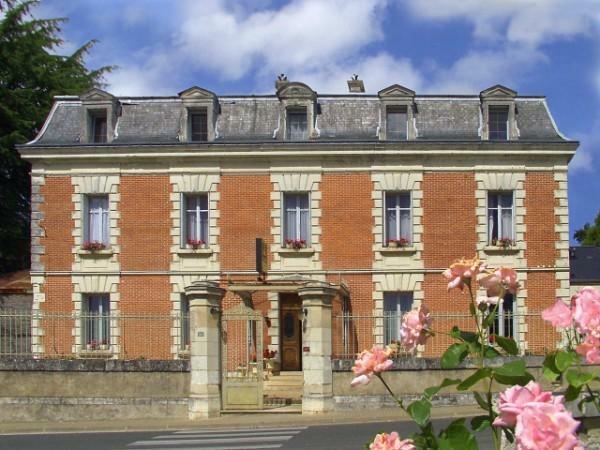 She was held within the Convent de Bon Pasteur, and was also made to swear not to write about her experiences, and signed an affidavit to that effect, or she would be sent to jail. When she was sent back to London, she travelled across the English Channel on the same ferry as Emmeline Pankhurst, who asked her to speak at a suffragette meeting. 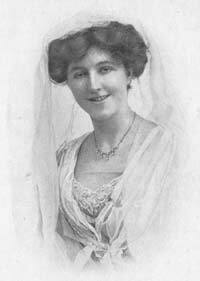 Once in London, she tried to write about her experiences for The Wide World Magazine, a London-based illustrated monthly, but had to scrap her first book on the instructions of the War Office which invoked the 1914 Defence of the Realm Act to silence her. In 1919, she moved to Canonbury in Islington, and published Sapper Dorothy Lawrence. Although well received in England, America and Australia, it was heavily censored by the War Office, and with a world wishing to move forward it did not become the commercial success that she wanted. With no income and no credibility as a journalist, by 1925 her increasingly erratic behavior was brought to the attention of the authorities. After confiding to a doctor that she had been raped in her teenage years by her church guardian, and with no family to look after her, she was taken into care and later deemed insane. Committed first to the London County Mental Hospital at Hanwell in March 1925, she was later institutionalized at the Colney Hatch Lunatic Asylum in Friern Barnet, north London. She died at what was by then known as Friern Hospital in 1964. She was buried in a pauper’s grave in New Southgate Cemetery, where today the site of her plot is no longer clear. Lawrence’s story lay dormant for decades, but came to light as part of historical researches concerning the suffragettes on the centenary of their struggles. 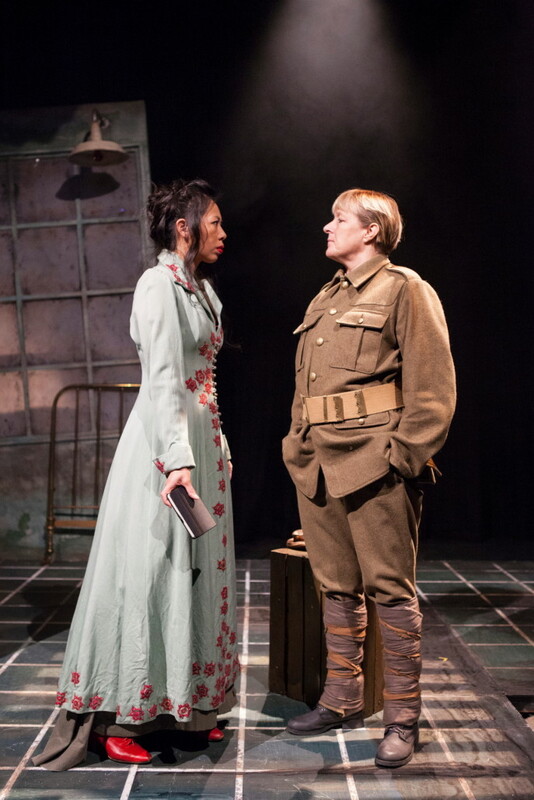 A number of newspaper articles and other published materials on her life are now available and there a couple of plays produced in 2015 documenting her life, both in the trenches and in Friern Barnet asylum. The best researched is The Disappearance of Dorothy Lawrence. I can’t imagine what rations Lawrence’s confidantes managed to smuggle out to her as she hid behind the trenches. I’ve spoken about Great War British rations before, noting that bully beef (tinned corned beef) was a mainstay. 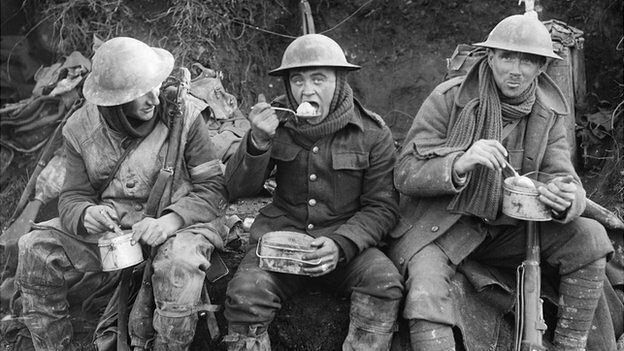 But in reality bully beef was the best on offer in the trenches. 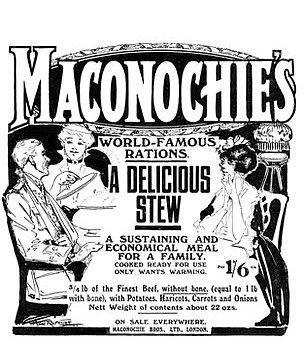 Worst was probably Maconochie’s stew which the label described as containing the finest beef equivalent to 1 lb on the bone, but was, in fact, mostly fat with unidentifiable vegetables. It was said that it was barely palatable if eaten hot (which was not always possible), but inedible when cold. When opened the can had a deep layer of congealed fat and an unpleasant smell. These recipes (and ration list) were issued by the army around 1915. Do with them what you will. The biscuits in the first recipe are the hard tack that soldiers were issued. Allowances per person per day, were: 1¼lb fresh or frozen meat, or 1lb salt meat; 4oz bacon; 20oz of bread or 16oz of flour or 4oz of oatmeal; 3oz of cheese; 4oz of butter or margarine; 2oz of tea, 4oz of jam or 4oz of dried fruit; pinch of pepper; pinch of mustard; 8oz of fresh vegetables or a tenth of a gill lime juice; half a gill of rum or 1pt of porter; maximum of 2oz of tobacco. Soak biscuits until soft, about three hours in cold water. Cut up peel finely. Place biscuits, sugar and currants into baking dishes; add milk and mix well with spice and peel. Place in oven until cooked. Time: One hour. Ingredients: Meat, onions, flour, mixed vegetables, pepper, salt, stock. Bone meat, remove fat, cut into 1oz pieces. Place stock in bottom of cooking vessel and dredge meat in flour. Peel and cut up onions, wash and peel and cut up the mixed vegetables, add onions and vegetables to meat, mix well together. Barely cover with stock and place in oven to cook. Stir frequently. Time: 2½ to 3 hours. Today is the first Sunday after Easter, which goes by a wide variety of names depending on ecclesiastical tradition. In Catholic and some Eastern traditions it marks the end of Bright Week during which the resurrection of Jesus is constantly celebrated. In some of those traditions it is called Renewal Sunday, referring to the continual affirmation of the Easter message. It is also called Quasimodo Sunday in some denominations, especially in parts of France and Germany, the name being taken from the day’s introit: — “Quasi modo geniti infantes, rationabile, sine dolo lac concupiscite” (“In the same way that newborn babies long for pure milk”). In the early church, catechumens were baptized on the Eve of Easter, and on the Sunday following Easter they cast off their white baptismal robes – yet they were still spiritual newborns (needing spiritual milk). In the Anglican tradition it is commonly called Low Sunday which is how I referred to it in church bulletins when I was a pastor. No one knows quite what “Low” refers to – possibly the feeling that the feeling of the celebration of the resurrection is not as great as it was on Easter Sunday. 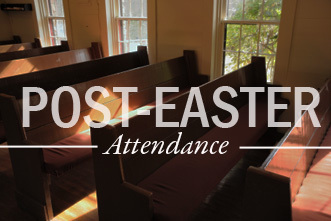 Pastors in general suggest that it refers to church attendance on that Sunday, which is always very low. I always preached on this passage because there is much more to it than meets the casual reader. First there are a few simple things to elucidate. The name Thomas (Koine Greek: Θωμᾶς) given for the apostle in the Greek Bible is derived from the Aramaic or Syriac: ܬܐܘܡܐ‎ Toma, equivalent to the Hebrew Teom, meaning “twin.” The equivalent term for twin in Greek is Δίδυμος Didymos. So verse 24 is a gloss, not an extension of his name. That is, he was not known as Thomas Didymos, but simply Thomas. A better translation of the verse would be, “Now Thomas . . . which means ‘Twin’ . . .” Giving glosses for Aramaic terms in Greek is very common in the gospels. Verse 26 says that “eight days later” the apostles were gathered again. This uses a standard method of counting days in Aramaic whereby the first and last days are counted. So, Sunday to Sunday is eight days, not seven as we normally count in English. The crux of the passage for me lies in verses 27 and 28, and, I believe, is mistakenly represented in classic iconography. 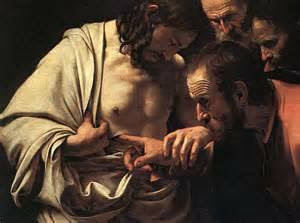 Jesus says “Put your finger here . . . etc.” in verse 27 but verse 28 does NOT begin, “So Thomas put his finger in the wounds, and believed . . .” Thomas IMMEDIATELY answers “My Lord and my God.” He not only believes without touching Jesus, but he goes on to assert that Jesus is both his Lord and is God, going beyond the obvious inference that Jesus died and has returned alive. The resurrection was miraculous enough, but one need go no farther than accepting it as proof that Jesus, AS A MAN (only), was killed by the Romans but the grave could not hold him. That’s quite extraordinary enough, and is enough for the other gospel writers. John’s gospel goes a step beyond that inference because of John’s author’s basic belief that Jesus was the Word of God incarnate, setting up the doctrine of the Trinity. Thus, in this gospel, Thomas is the first apostle to get the whole story straight. 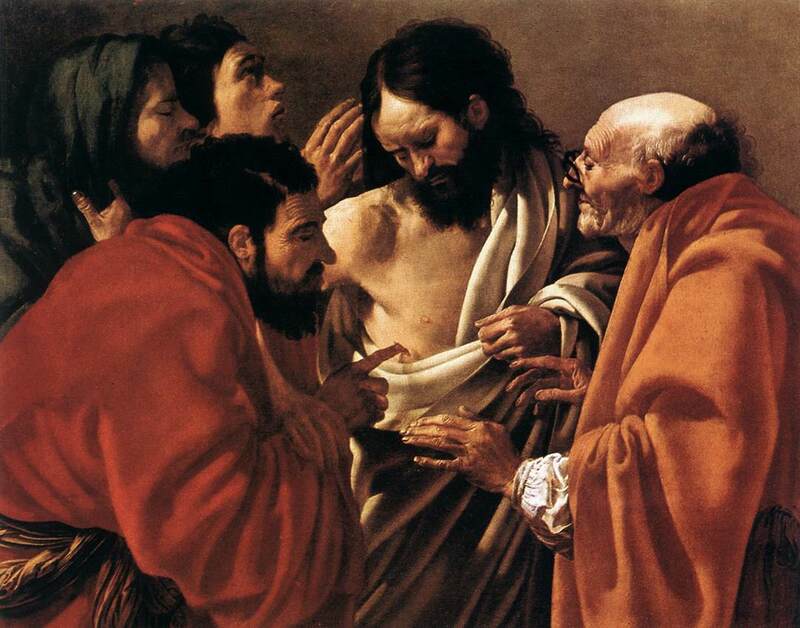 In many traditions, therefore, he is not referred to as “doubting” Thomas, even though at the outset he doubts the testimony of his fellow apostles. Rather, he is seen as a man of extraordinary insight and faith because he goes well beyond what his senses tell him. It was to a land of dark people he was sent, to clothe them by Baptism in white robes. His grateful dawn dispelled India’s painful darkness. It was his mission to espouse India to the One-Begotten. The merchant is blessed for having so great a treasure. Edessa thus became the blessed city by possessing the greatest pearl India could yield. Thomas works miracles in India, and at Edessa Thomas is destined to baptize peoples perverse and steeped in darkness, and that in the land of India. Thomas is mostly known as the missionary to India through the Acts of Thomas, an early 3rd century work of unknown provenance. 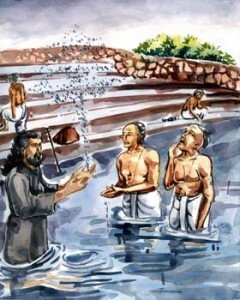 The Acts of Thomas connects his Indian ministry with two kings, one in the north and the other in the south. According to one of the legends in the Acts, Thomas was at first reluctant to accept this mission, but Jesus appeared to him in a night vision and said, “Fear not, Thomas. Go away to India and proclaim the Word, for my grace shall be with you.” But the Apostle still demurred, so Jesus overruled the stubborn disciple by ordering circumstances so compelling that he was forced to accompany an Indian merchant, Abbanes, to his native place in northwest India, where he put himself in the service of the Indo-Parthian king Gondophares. Thomas’ ministry resulted in many conversions throughout the kingdom, including the king and his brother. According to the legend, Thomas was a skilled carpenter and was asked to build a palace for the king. However, he decided to teach the king a lesson by devoting the royal grant to acts of charity. 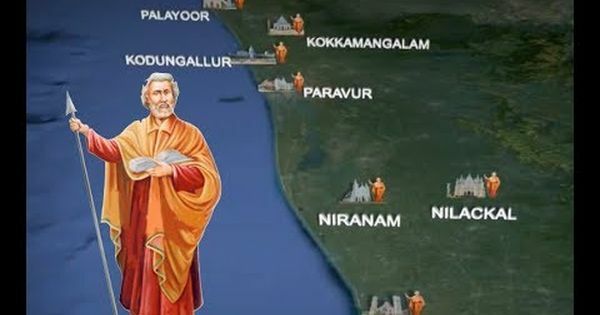 Although little is known of the immediate growth of the church, Bar-Daisan (154–223) reports that in his time there were Christian groups in North India which claimed to have been converted by Thomas and to have books and relics to prove it. But at least by the year of the establishment of the Second Persian Empire (226), there were bishops of the Church of the East in northwest India comprising Afghanistan and Baluchistan, with laymen and clergy alike engaging in missionary activity. The Acts of Thomas identifies his second mission in India with a kingdom ruled by King Mahadeva, one of the rulers of a 1st-century dynasty in southern India. 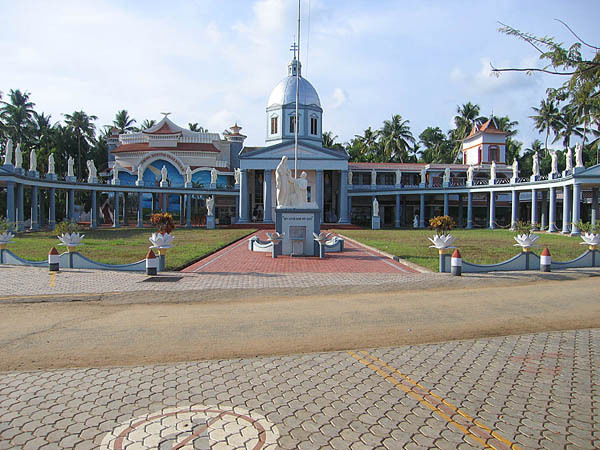 According to the most ancient tradition of the Mar Thoma (“Church of Thomas”) congregations along the Malabar Coast of Kerala State in southwest India, Thomas evangelized this area and then crossed to the Coromandel Coast of southeast India, where, after carrying out a second mission, he was killed in Mylapore near Madras. 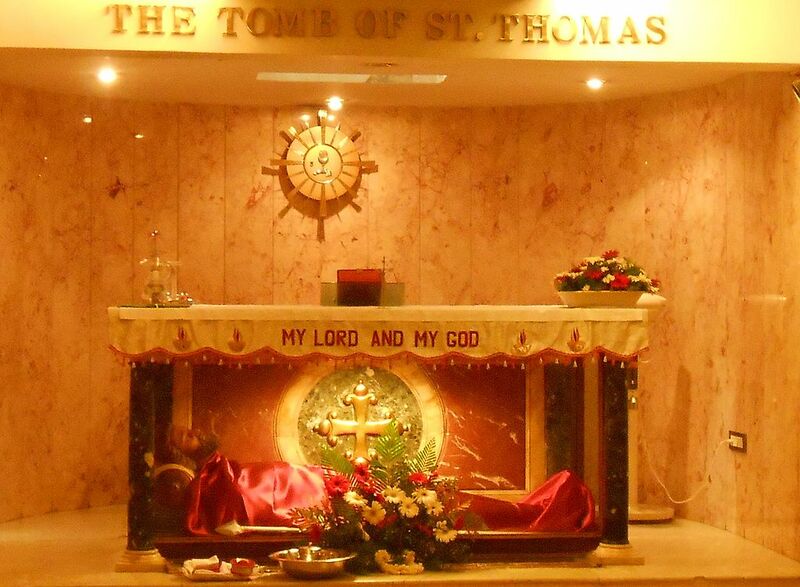 According to local tradition, Thomas was killed at St.Thomas Mount, near Chennai, in 72 CE and his body was interred in Mylapore. 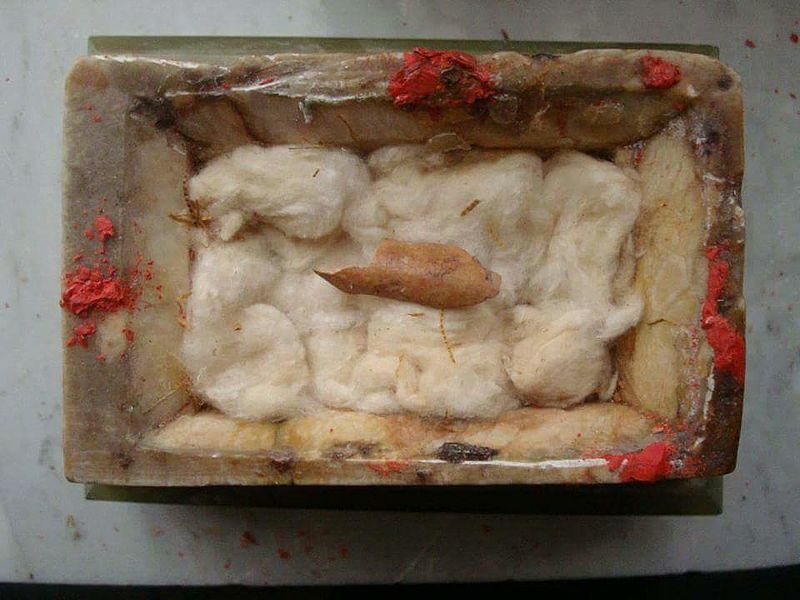 Numerous churches in India claim to possess his relics, and these remains have been moved a number of times. How much of all of this can be taken is legitimate history is open to question. 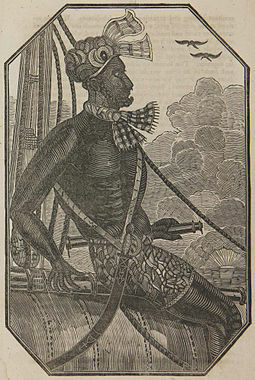 It was certainly quite feasible for Thomas to travel to India, but whether he did or not is another matter. 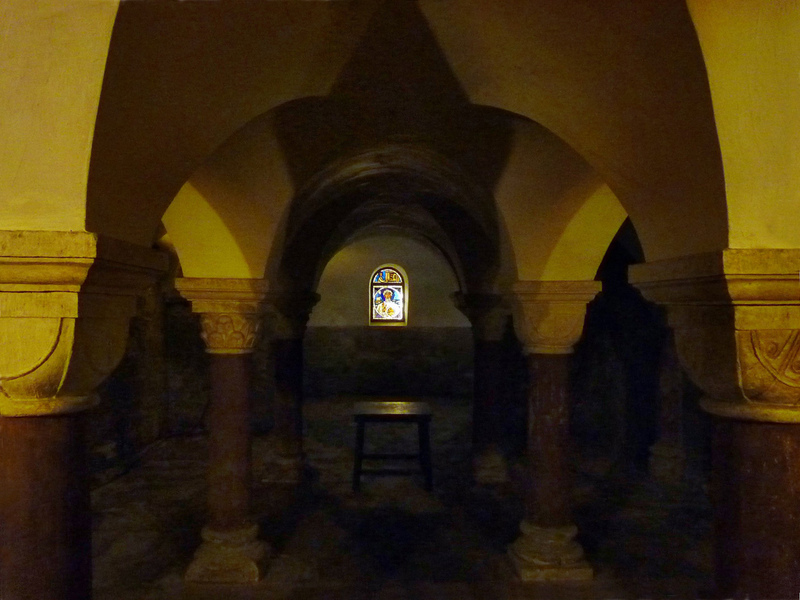 Churches in Cornwall in England claim that both Jesus and Joseph of Arimathea traveled to England (Joseph bringing the Holy Grail with him), but these tales stretch credulity to the breaking point. On the other hand, a trip from the Mediterranean to India was not only possible, but was a regular trade route by sea. The question remains what would have prompted Thomas to make such a trip. 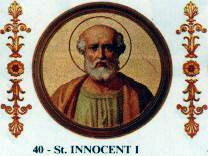 The canonical Acts of the Apostles, while not utterly reliable as history gives an account of early evangelizing that accords well with the letters of Paul, who knew the apostles. 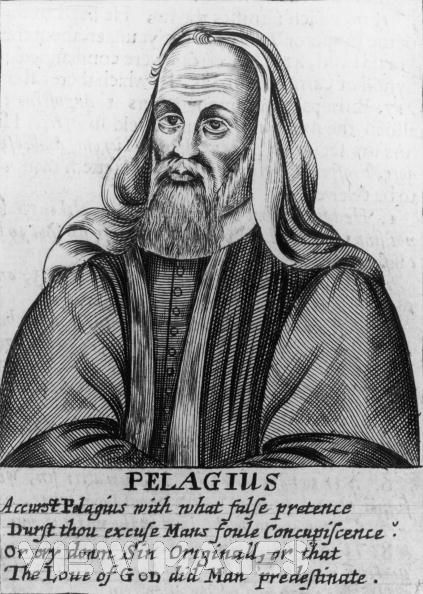 The narrative in Acts suggests that the apostles, who had been devout Temple-worshipping Jews, were content to remain in Judah and work on proselytizing at home to the Jews, showing that Jesus was the promised Messiah of the Jews, whereas Paul, already an itinerant Hellenized Jew, took it as his mission to travel widely outside of Judah, preaching first to Hellenized Jews throughout the Roman empire, and then to Gentiles. All parties seemed happy with this state of affairs. It, therefore, seems unlikely that Thomas broke ranks and journeyed to India. In the 2nd and 3rd centuries numerous Christian churches sprang up across Europe and Asia and many desired bona fides that they were founded by apostles. Actually, what is astounding to me is that Christianity took firm hold so early in India – certainly by the 2nd century – whether or not Thomas was involved. Whether or not we can trust the histories, Thomas is most decidedly linked to the region of Kerala, so a local recipe is in order. Kerala is known as the “Land of Spices” because it traded spices with Europe as well as with many ancient civilizations for millennia, the oldest historical records being trade accounts with the Sumerians from around 3000 BCE. Kerala’s cuisine is quite distinctive in India because of the large numbers of both Muslims and Christians living alongside Hindus. 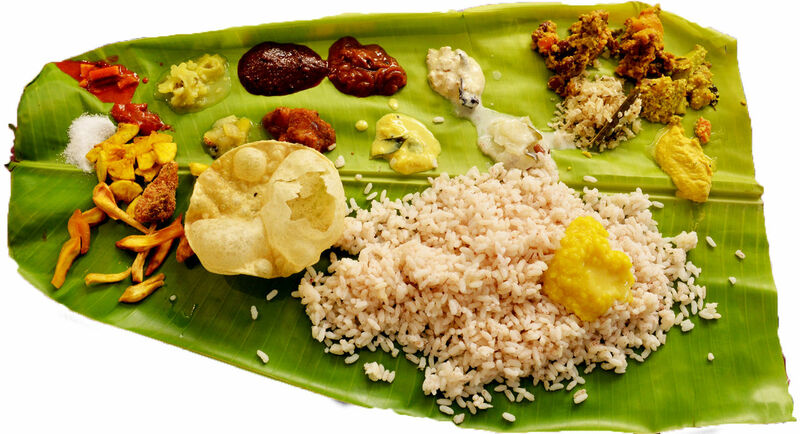 Hindus emphasize vegetarian dishes as well as chicken and fish, but Kerala’s large Thomas Christian population has no food restrictions, so meat dishes in the local style are common as well. 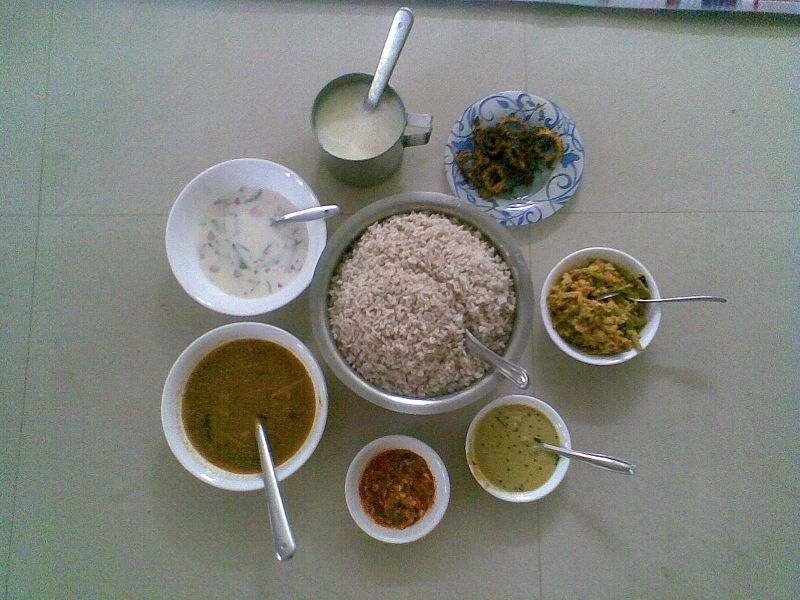 Rice and tapioca are the staple foods of Kerala. All lunches and dinners focus on them and they are served with side dishes that can be meat, fish, vegetables, or a mix of all three.A favorite festive dish of Kerala’s Thomas Christians is a well-seasoned chicken stew in coconut milk with cashews. 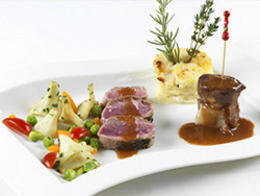 Lamb and duck can replace chicken in the recipe. Coconuts grow in abundance in the region, and both coconut milk and grated coconut flesh are common ingredients and thickeners. Using whole, fresh spices is more traditional than using powdered ones. Sometimes I crush them a little with a mortar and pestle before the cooking process to help release the flavors. In Kerala this would normally be one side dish among many, along with condiments. Heat the coconut oil over medium heat in a large skillet. Add the cardamom, cloves, whole peppercorn, cinnamon, star anise and bay leaves and sauté gently for 1 minute. Add the sliced onion, ginger, garlic, green chiles and curry leaves and sauté until the onion is translucent. Using a slotted spoon, transfer the ingredients to a heavy-bottom saucepan. 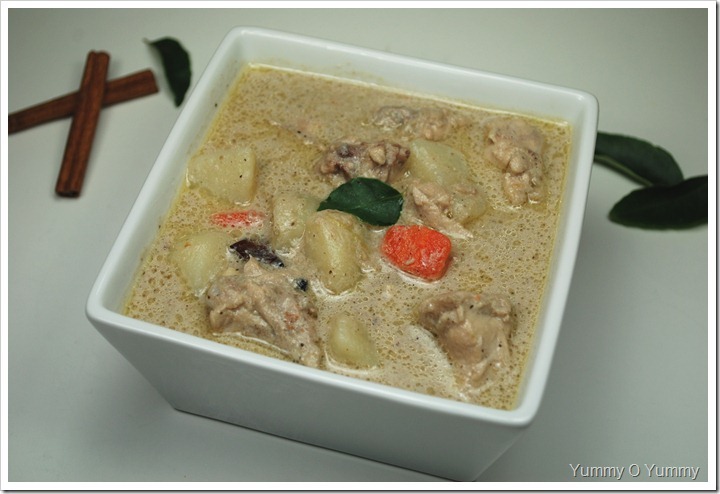 Add the chicken pieces, cubed carrots, potatoes, thin coconut milk and salt to taste to the saucepan. Bring to a slow simmer, cover, and cook until the chicken is tender (about 40 minutes). Meanwhile cover the cashews with hot water and let soak for about 30 minutes. Place them with the water and the thick coconut milk in a food processor or blender, and blend to a smooth paste. When the chicken is cooked add the cashew and coconut milk paste to the pot, and simmer, uncovered, for a few minutes until the sauce has thickened a little. Heat the coconut left in the skillet over medium-high heat, add the sliced shallots and curry leaves, and sauté until they are golden. 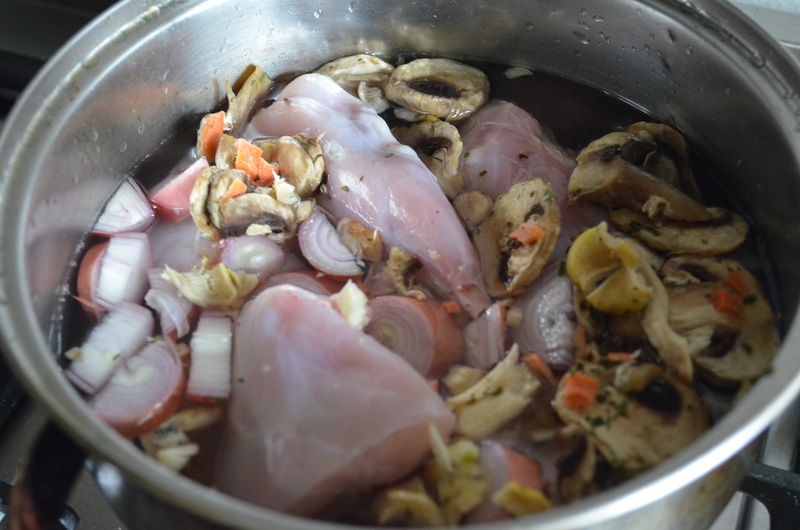 Add them to the stew, simmer an extra minute then serve in a bowl along with plain boiled basmati rice and flat bread. 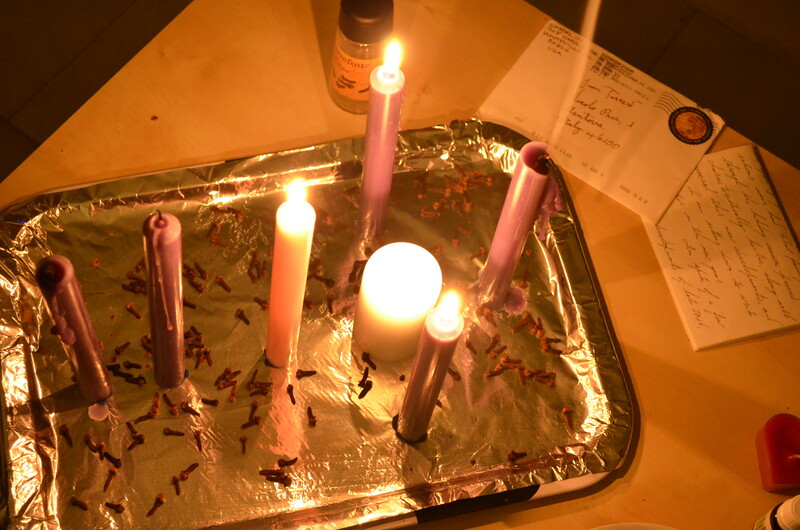 Today is Oculi Sunday – the third Sunday in Lent. The name comes from the first word in Latin of the introit of the day (taken from Psalm 25): Oculi mei semper ad Dominum – My eyes are always on God. If you’re a real stickler you can hear (or sing) the introit as a Gregorian chant. This site will give you the full monty: text, music, original Latin with translation and commentary, plus an .mp3. My liturgical side is minute (at best), so I’ll pass. 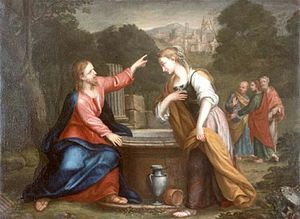 The lectionary Gospel reading this year (Year A) is the story of Jesus and the Samaritan woman at the well (John 4). You may need to familiarize yourself with it if your memory is hazy – or you don’t know it. The story has two key elements. First, Jesus does not treat the woman harshly even though she has had 5 husbands and the man she is currently living with is not her husband. Jesus was not a moralist, unlike many contemporary so-called Christians. Second, the woman was a Samaritan, and Jews and Samaritans generally despised one another (which is why the story of the Good Samaritan is so poignant). Jesus preached tolerance of those who are different from us in religion and culture. We could use a lot more of that kind of tolerance these days. The history of Samaria and Samaritans, and their historic relations with Jews is rather obscure. 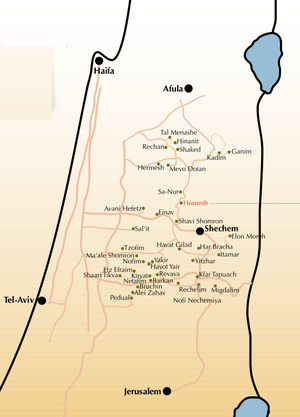 According to the Bible Samaria is roughly coterminous with the region that was originally designated for the two half tribes of Joseph: Ephraim and Manasseh. Here we encounter an immediate problem. There is no clear evidence that the tribal boundaries given in the Hebrew Bible match historical facts. It is certainly true (in my expert opinion !!!) 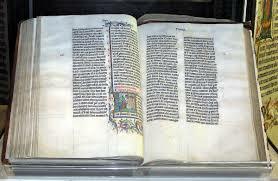 that the farther back in time we go in the history of Israel, the more unreliable the Bible is. I have no hesitation in saying, for example, that the kings David and Solomon did not exist. At the purported time of their massive kingdoms, Jerusalem was little more than a village of shepherds according to archeology. It is reasonably clear that in the 8th century BCE the region of Samaria was wealthy and opulent. The early prophets Amos and Hosea rail against the region for its ostentation and greed, and this is confirmed by archeology. In 726–722 BCE, the new king of Assyria, Shalmaneser V, invaded Israel and besieged the city of Samaria, the capital. After an assault of three years, the city fell and much of its population was taken into captivity and deported. The great mystery is what happened to the people who were deported (the so-called Lost Tribes of Israel), and who took their place. There was a lot of friction between the new Samaritans and the remaining Jews in Judah and in Galilee down to the time of Jesus. But from the outside it’s hard to distinguish between Samaritans and Judeans. 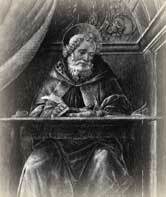 The Samaritans used the Torah as their sacred text, celebrated the High Holy Days and so forth. The Samaritan Torah is somewhat different in places from the classic Jewish Torah, but not significantly. So, why were the Jews and the Samaritans at odds so much? I suspect it was a simple matter of prejudice against newcomers (i.e. immigrants). We know all about that. 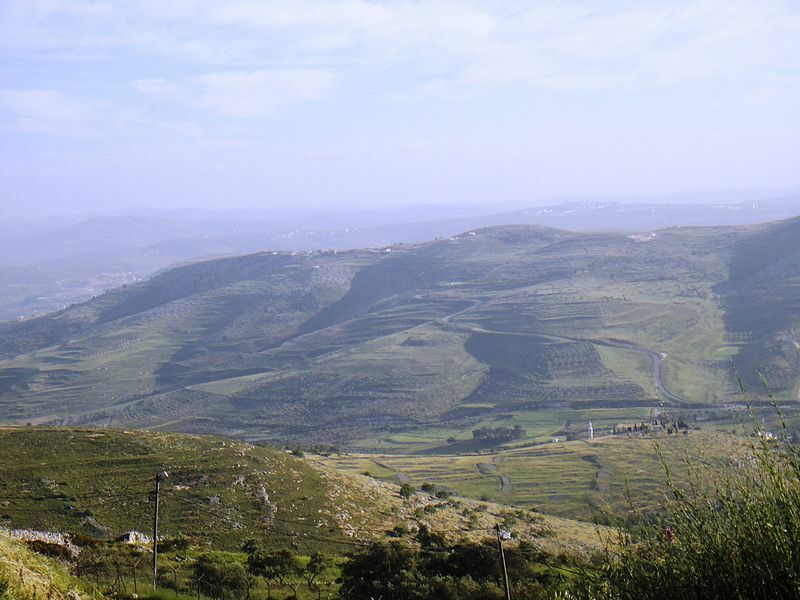 In Jesus’ time people usually skirted around Samaria if they were traveling from Jerusalem to Galilee. Jesus did not. He ploughed through Samaria in a straight line, and was not fazed at all by common prejudice. This behavior got him noticed. 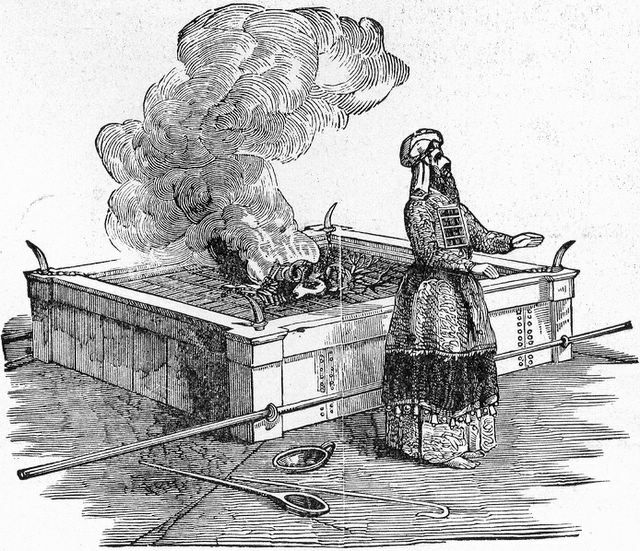 The archeological record of Samaria in Biblical times is chock full of cooking pots. In fact styles of cooking pots are used to date sites and archeological strata. What was cooked in the pots is mere speculation but some things are reasonably clear. If the people had kilns to fire pots they had ovens to bake yeast bread. Furthermore, the superabundance of cooking pots tells us that boiling food was the common daily habit. The Seven Species – wheat, barley, grape, fig, pomegranates, olive, and date – were the staples in Biblical times. Meat would have been a rarity, and hunted meat was a bonus. Hence for a celebratory meal I’m going to make a rabbit stew. Simplicity needs to be the order of the day here. You can’t brown meat in a ceramic pot. You have to simply add the meat, jointed, to the pot, cover with water and add whatever seasonings you have on hand, such as onions and garlic. Then bring the pot to a simmer and cook for several hours. It’s a very simple dish, obviously, but you can dress it up. Bitter herbs such as horehound and wormwood were available, as were mushrooms in season. The Battle of Balaclava took place on this date in 1854 as part of the Siege of Sevastopol (1854–1855), in turn part of the Crimean War. 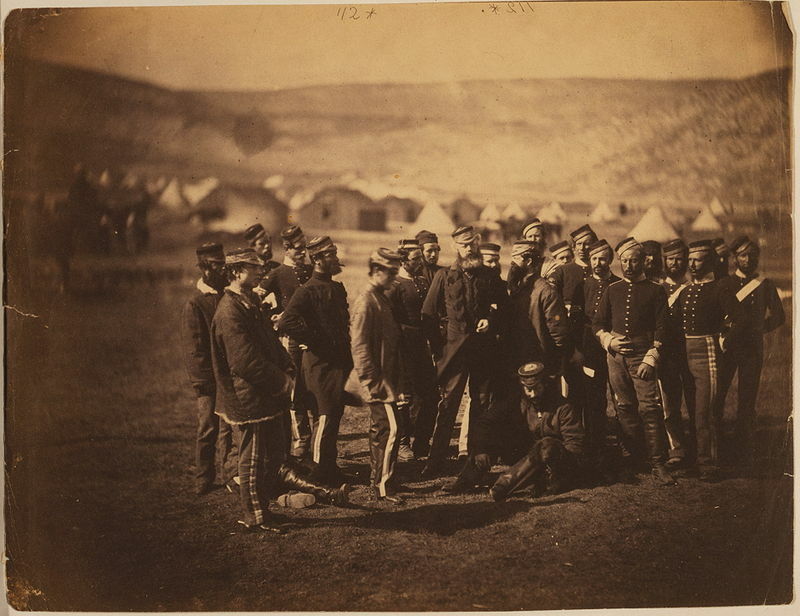 Inasmuch as I consider all wars to be senseless and tragic, Crimea stands out as possibly the most senseless and tragic of the 19th century, and within that awful context the Charge of the Light Brigade is by far the most senseless and tragic event within the battle and the war. The Crimean War should never have happened in the first place. It happened because of international policy and diplomacy mistakes coupled with proud military figures who felt that they had been idle too long after the Napoleonic Wars. These were still the days when men fought in colorful uniforms using such terms as “glory” and “honor,” but they were also the days of massive canonry that could inflict bloody massacres with ease. When you combine that fact with bone-headed leadership you have the potential for disaster. I don’t have time or space to go on at length about Crimea or Balaclava. I’ll be brief. After being successful at Alma, the British sought to capture the Russian port of Sevastopol. However insufficient resources prevented them from attacking immediately and, instead, they established base in Balaclava. Lack of troops left them open to strategic attack by the Russians who took advantage on 25th October. There were several notable engagements that day but the Charge of the Light Brigade is the one that is remembered most. 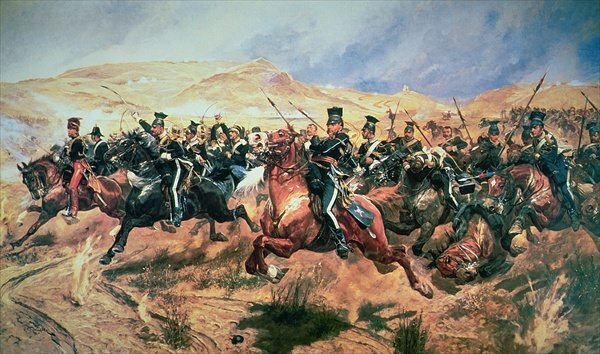 The British cavalry available was made up of the Heavy Brigade and the Light Brigade. The Light Brigade, as the name suggests, were a light cavalry force that mounted light, fast horses which were unarmored. The men were armed only with lances and sabers and had no helmets or armor. The brigade was optimized for maximum mobility and speed, and were intended for reconnaissance and skirmishing only. They were also ideal for cutting down infantry and artillery units as they attempted to retreat. Overall command of the British cavalry brigades rested with General George Bingham, 3rd Earl of Lucan and the Light Brigade was under General James Brudenell, 7th Earl of Cardigan. Cardigan and Lucan were brothers-in-law who disliked each other intensely. 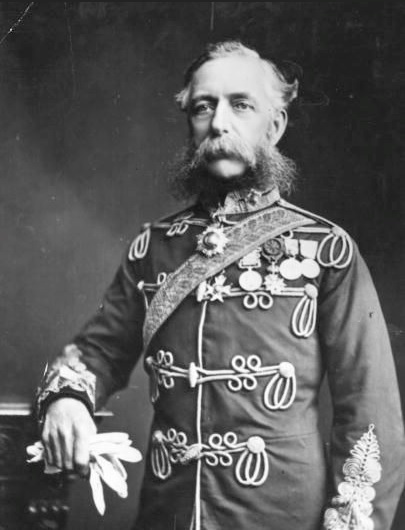 Lucan received a written order from Lord Raglan stating: “Lord Raglan wishes the cavalry to advance rapidly to the front, follow the enemy, and try to prevent the enemy carrying away the guns. Troop horse artillery may accompany. French cavalry is on your left. Immediate.” However, the lay of the land around Lucan and the cavalry prevented him from seeing the Russians’ efforts to remove the guns from the redoubts and retreat, therefore the order was not clear. The order was drafted by Brigadier Richard Airey and carried by Captain Louis Edward Nolan. Nolan carried the further oral instruction that the cavalry was to attack immediately. When Lucan asked what guns were referred to, Nolan is said to have indicated with a wide sweep of his arm—not the causeway redoubts—but the mass of Russian guns in a redoubt at the end of the valley, around a mile away. In response to the order, Lucan instructed Cardigan to lead his command of about 670 troopers of the Light Brigade straight into the valley between the Fedyukhin Heights and the Causeway Heights. 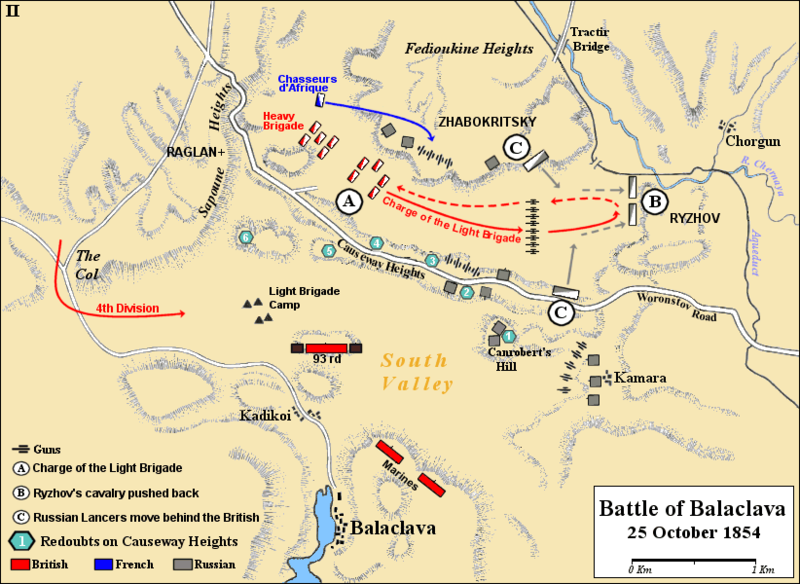 In “The Charge of the Light Brigade” Tennyson famously called this hollow “The Valley of Death.” The opposing Russian forces were commanded by Pavel Liprandi and included approximately 20 battalions of infantry supported by over 50 artillery pieces. These forces were deployed on both sides and at the opposite end of the valley. Lucan himself was to follow with the Heavy Brigade. Although the Heavy Brigade was better armored and intended for frontal assaults on infantry positions, neither force was remotely equipped for a frontal assault on a fully dug-in and alerted artillery battery—much less one with an excellent line of sight over a mile in length and supported on two sides by artillery batteries providing enfilading fire from elevated ground. The semi-suicidal nature of this charge was surely evident to the troopers of the Light Brigade, but there is no record of any objection or resistance to the misunderstood command – such was army discipline. The Light Brigade set off down the valley with Cardigan out in front, leading the charge. Almost at once Nolan was seen to rush across the front, passing in front of Cardigan. It may be that he then realized the charge was aimed at the wrong target and was attempting to stop or turn the brigade, but he was killed by an artillery shell, and the cavalry continued on its course. 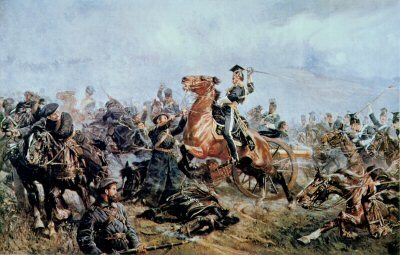 Despite withering fire from three sides that devastated their force on the ride through the valley, the Light Brigade was able to engage the Russian forces at the end of the valley and force them back from the redoubt, but it suffered heavy casualties and was soon forced to retire. The surviving Russian artillerymen returned to their guns and opened fire once again as the Light Brigade withdrew, with grape and canister. Lucan failed to provide any support for Cardigan, and it was speculated that he was motivated by an enmity for his brother-in-law that had lasted some 30 years and had been intensified during the campaign up to that point. Cardigan survived the battle. Although stories circulated afterwards that he was not actually present, he led the charge from the front and, never looking back, did not see what was happening to the troops behind him. He reached the Russian guns, took part in the fight, and then returned alone up the valley without bothering to rally or even find out what had happened to the survivors. He afterwards said all he could think about was his rage against Captain Nolan, who he thought had tried to take over the leadership of the charge from him. After riding back up the valley, he considered he had done all that he could and then left the field and went on board his yacht in Balaclava harbor, where he ate a champagne dinner. The reputation of the British cavalry was significantly enhanced as a result of the charge, though the same cannot be said for their commanders. 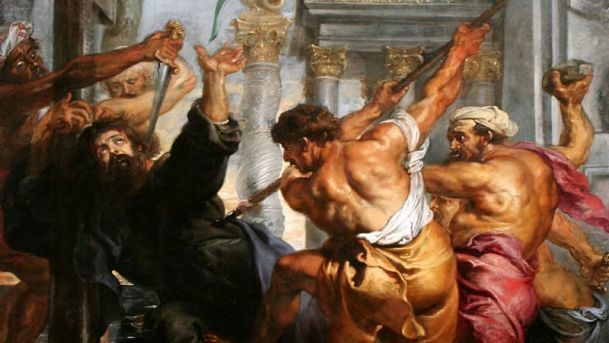 Lucan was ultimately blamed for ordering the charge and was furious at being made a scapegoat. Raglan claimed he should have exercised his discretion, but throughout the campaign up to that date Lucan considered Raglan had allowed him no independence at all and required that his orders be followed to the letter. Cardigan, who had merely obeyed orders, blamed Lucan for giving those orders. 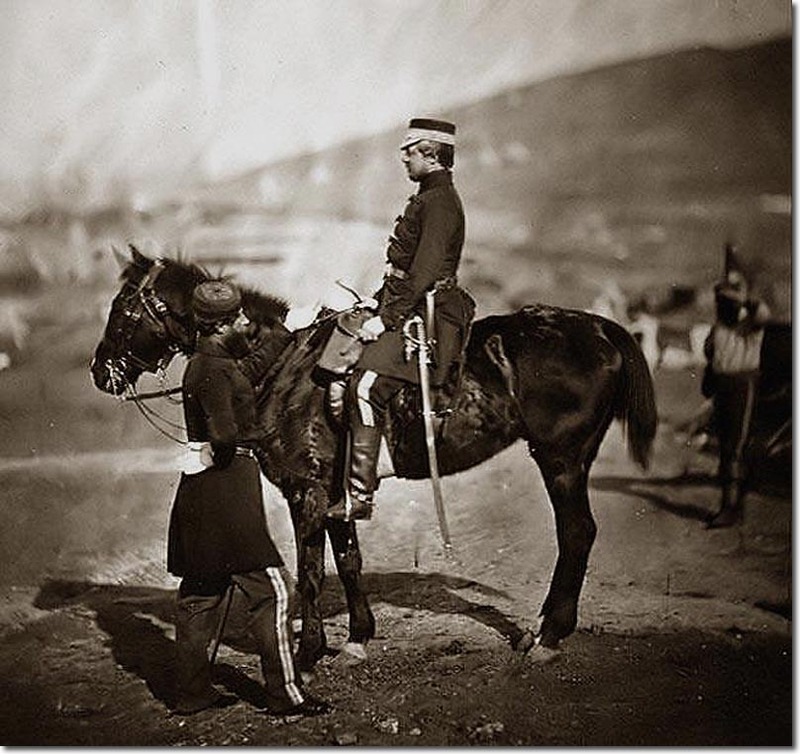 He returned home a hero and was promoted to Inspector General of the Cavalry. After much public debate, Lucan’s name was cleared, but he never again saw active duty. Contemporary accounts of the charge tended to focus on the bravery and glory of the cavalrymen, much more than the military blunders involved, with the perverse effect that it encouraged reckless bravery in the army over sanity that lasted all the way to the First World War. The fate of the surviving members of the Charge was investigated by Edward James Boys, a military historian, who documented their lives from leaving the army to their deaths. His records are described as being the most definitive project of its kind ever undertaken. Edwin Hughes, who died on 14 May 1927, aged 96, was the last survivor of the charge. 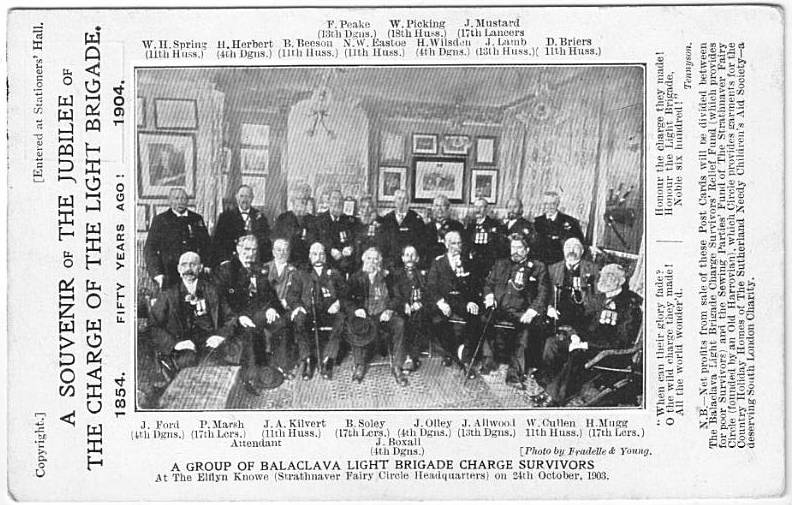 In October 1875, survivors of the Charge met at the Alexandra Palace in London to celebrate the 21st anniversary of the Charge. The celebrations were fully reported in the Illustrated London News of 30 October 1875, which included the recollections of several of the survivors. Tennyson was invited, but could not attend. Lucan, the senior commander surviving, was not present, but attended a separate celebration, held later in the day, with other senior officers at the fashionable Willis’s Rooms, St James’s Square. Reunion dinners were subsequently held for a number of years. Oct. 5. — We are in great excitement to-day, having sent down to Balaclava to get stores from a ship, the arrival of which we heard of, and the envoy has returned with a goose, some sheep and potatoes as my share. Cardigan has given in, and gone on board ship, which leaves me topsawyer. Lord Raglan comes up to-day, and occupies a farmhouse. I have just been dipping into one of my bullock-trunks to find something, and the contents of it will amuse you. On the top there were six or seven onions, wrapped up in a not over well-washed flannel shirt; next to which, in a very dirty old newspaper, are some mole candles, approaching; closely to the articles known as dips, loosely interspersed with these being broken bits of ration biscuit. Diving deeper, my hand arrived on half a loaf of bread, the crumbs of which will be somewhat annoying when I next put on the worsted sock in which it was packed. These with occasional lumps of sugar, pots of preserved meat, halfbroken cigars, a little more dirty linen, a ration of salt pork, and my other pair of boots (not cleaned) fill up a good portion of one trunk, and so unnerve me that I have not the courage to venture on the other, to find what of course I failed to find in the first. While the generals dined well, I doubt that the rank and file sat down to champagne and roast leg of lamb. What I suspect is that after the battle many of them ate horse meat, which would have been a welcome relief from turnips and camp biscuits. The English have an aversion to horse flesh – not shared by many Europeans – but in the aftermath of the battle there would have been a great deal of dead horses that the cavalrymen had the choice of letting rot or eating. Here in Mantua horse meat is a delicacy that is more expensive than beef. It is readily available in supermarkets and there is a butcher selling only prime cuts of horse meat. I eat it once or twice a month and generally use the same recipe ideas that I use for beef. If you can’t get horse meat my recipes won’t help you. The meat can be a tad stronger than beef, but on the whole it tastes much the same if stewed. 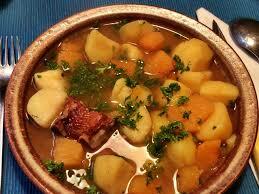 Commonly I braise it in good beef stock with onions, leeks, cloves and allspice and serve it with potatoes and carrots. The Jewish high holy day of Yom Kippur begins at sundown today. Until that time it is the eve of Yom Kippur, known as Kol Nidre. Yom Kippur (יוֹם כִּיפּוּר or יום הכיפורים), which can be translated as the Day of Atonement (or Atonements), is the holiest day of the year in Judaism. Observant Jews of all sects traditionally observe this holy day with an approximate 25-hour period of fasting and intensive prayer, sometimes spending most of the day in temple services. Even non-observant Jews usually treat the day with respect, avoiding public or ostensible secular work. Degrees of observation vary widely. In Hebrew Yom Kippur is pronounced with long vowels – Yowm Kippoor – not rhyming with Tom Kipper (pet peeve of mine). Yom Kippur is the tenth day of the seventh month (Tishrei) in the Hebrew calendar. Rosh Hashanah is the first day of that month http://www.bookofdaystales.com/rosh-hashanah/ . Yom Kippur completes the annual period known in Judaism as the High Holy Days or Yamim Nora’im (“Days of Awe”) that commences with Rosh Hashanah. According to Jewish tradition, God inscribes each person’s fate for the coming year into a book, the Book of Life, on Rosh Hashanah, and waits until Yom Kippur to “seal” the verdict. During the Days of Awe, Jews are commended to amend their behavior and seek forgiveness for wrongs done against God and against other human beings. The evening and day of Yom Kippur are set aside for public and private petitions and confessions of guilt. The Yom Kippur prayer service includes several unique aspects. One is the actual number of prayer services. Unlike a regular day, which has three prayer services (Ma’ariv, the evening prayer; Shacharit, the morning prayer; and Mincha, the afternoon prayer), or a Shabbat or Yom Tov, which have four prayer services (Ma’ariv; Shacharit; Mussaf, the additional prayer; and Mincha), Yom Kippur has five prayer services (Ma’ariv; Shacharit; Musaf; Mincha; and Ne’ilah, the closing prayer). The prayer services also include private and public confessions of sins and a unique prayer dedicated to the special Yom Kippur avodah (service) of the Kohen Gadol (high priest) in the Holy Temple in Jerusalem. 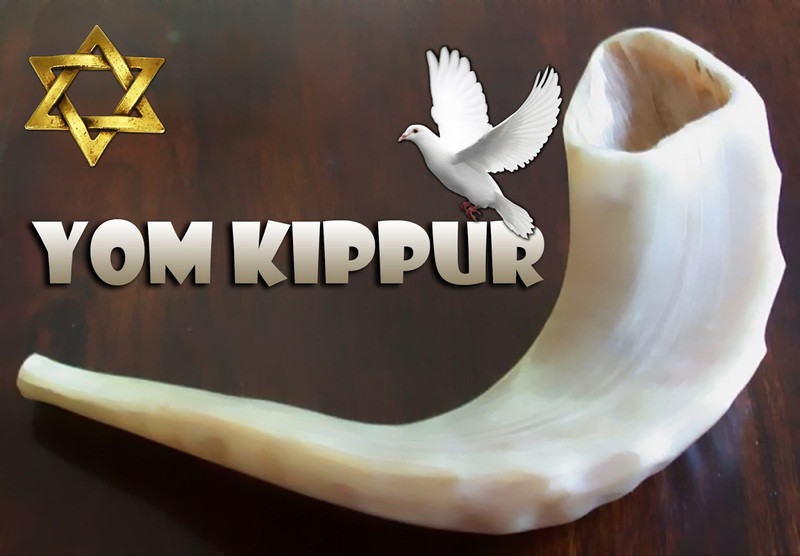 As one of the most culturally significant Jewish holidays, Yom Kippur is observed by many secular Jews who may not observe other holidays. 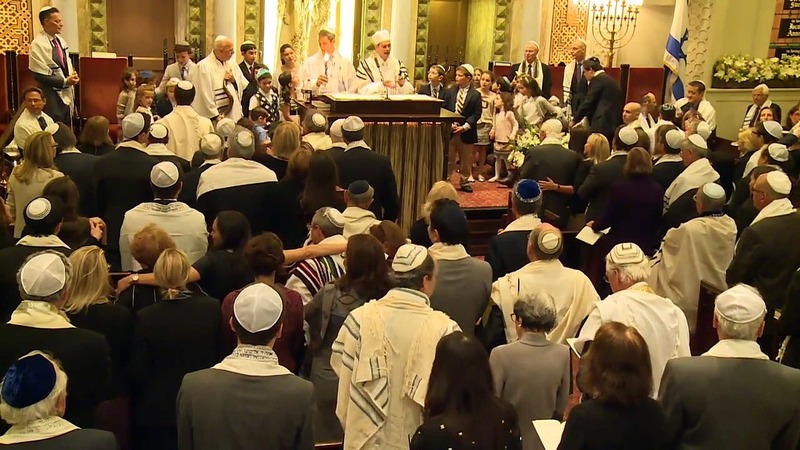 Many secular Jews attend temple on Yom Kippur, much as (primarily) secular Christians attend Easter Sunday services. In both cases attendance soars because observance is as much about cultural identity as religious faith. Erev Yom Kippur (“eve of the day of atonement”), the day preceding Yom Kippur, corresponding to the ninth day of the Hebrew month of Tishrei, is commemorated with additional morning prayers, asking others for forgiveness, giving charity, performing the kapparot ritual, an extended afternoon prayer service, and two festive meals. Five additional prohibitions are traditionally observed, as detailed in the Jewish oral tradition (Mishnah tractate Yoma 8:1). The number five is a set number of special holiness according to tradition. A parallel has been drawn between these activities and the human condition according to the Biblical account of the expulsion from the garden of Eden. Refraining from these symbolically represents a return to a pristine state, which is the theme of the day. By refraining from these activities, the body is uncomfortable but can still survive. The soul is considered to be the life force in a body. Therefore, by making one’s body uncomfortable, one’s soul is uncomfortable. By feeling pain one can feel how others feel when they are in pain. Total abstention from food and drink as well as keeping the other traditions begins at sundown, and ends after nightfall the following day. One should add a few minutes to the beginning and end of the day, called tosefet Yom Kippur, lit. “addition to Yom Kippur.” This is sometimes known in English as “putting a hedge around the law” – that is, doing all that is required by the law, and then just a little extra to make sure. May all the people of Israel be forgiven, including all the strangers who live in their midst, for all the people are in fault. The Torah scrolls are then placed back into the Ark, and the Yom Kippur evening service begins. The Kol Nidre meal before Yom Kippur services is very important and can be the subject of much debate. It should be a nourishing meal because the following 24 hours (or so) are meant to be free from food or drink, and it should be a festive meal. But . . . it cannot be a lengthy meal, and preparations cannot be extensive on the day because people are in a hurry to get to temple before sundown (and typically get there on foot). The obvious solution is to prepare a good meal ahead of time, and this gives me the opportunity to talk about the importance of making soups and stews the day before they are to be served. I’ve frequently talked about the importance of cooking soups and stews ahead of time, and I suspect that most people know that these dishes generally taste better on the second day. The question is – why? The answer is complex, and I’ll begin by admitting that culinary science does not have all parts of the answer – yet. Here’s what we know. Simply continuously cooking soups and stews for lengthy periods of time is not enough to reap the rewards that resting and refrigerating do. That’s good news for the cook (and a nice metaphor for the idea that rest is as important as work for achieving desired outcomes). First, there is the issue of “marrying” flavors. I like the metaphor of marriage here. One’s partner can become more attractive to you over time, not because in some “objective” sense they have become more physically attractive, but because you have grown emotionally closer (if you have !!!). Herbs, spices, and other aromas also have an analogous way of blending over time. This process is achieved partly through cooking and partly through resting. The flavors “like” each other more. Second, there are measurable changes in sweetness as complex carbohydrates (such as fructose from vegetables or lactose from dairy) and starches break down into sweeter-tasting simple sugars. This process also causes the mellowing of strong flavors from vegetables such as garlic and onions that tend to stand out on the first day. They are still there on the second day but their new-found sweetness allows them to blend more, as do the fats and collagens from the meats, especially lamb and beef, (pork too, but we’re talking kosher here), which absorb flavors and retain them well for the blending process. One caveat: soups and stews thickened with egg or starches such as flour or cornflour, will generally not hold their texture overnight. Thickeners should be added on the second day when reheating to ensure proper texture when serving. All of this means that the best plan is to do the heavy cooking the day before Kol Nidre, and then all you have to do is reheat and finish off the dish the next day before going to Yom Kippur services at sundown. I often work on a three-day plan. Day 1, brown the meats and then simmer them in broth with aromatics. Browning is important because the Maillard reaction generates flavorful sugars. Refrigerate. Day 2, skim the fat that has solidified overnight, reheat and add the vegetables. Adjust seasonings as necessary, simmer until the vegetables are barely cooked (even slightly undercooked), then refrigerate overnight again. Day 3, reheat the dish, thicken as necessary, and serve. Today, the second Saturday in June, is National Day in Montserrat, a Caribbean island in the Leeward Islands, which is part of the chain known as the Lesser Antilles, in the British West Indies. It is a British Overseas Territory. Montserrat is approximately 16 km (10 mi) long and 11 km (7 mi) wide, with approximately 40 km (25 mi) of coastline. In 1493, Christopher Columbus named the island Santa Maria de Montserrate, after the Virgin of Montserrat in the Monastery of Montserrat, near Barcelona in Spain. 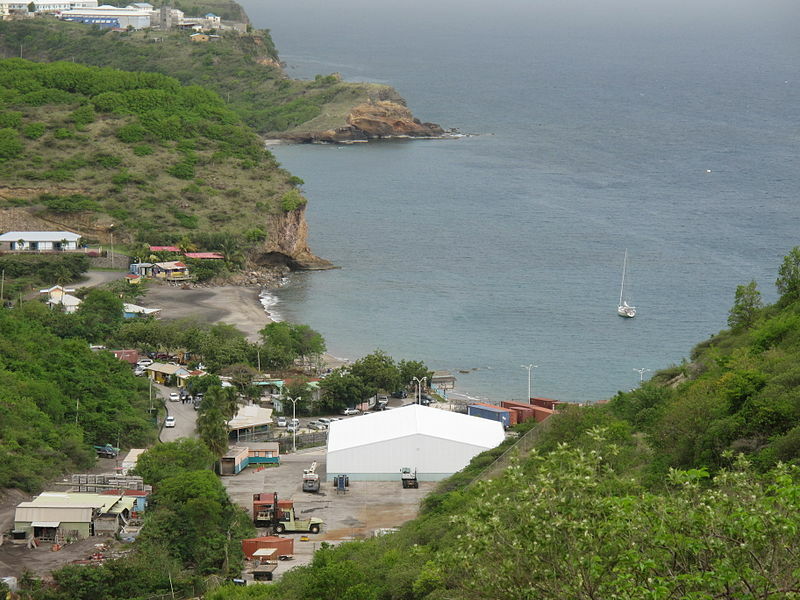 Archaeological field work in 2012, in Montserrat’s Centre Hills indicated there was an Archaic (pre-Arawak) occupation between 4000 and 2500 BP but the island was uninhabited when Columbus sailed by. A number of Irish settled in Montserrat in 1642, and the Irish population expanded due to the arrival of exiles after Cromwell’s conquest of Ireland (1653). The island was captured by the French in 1666, and shortly afterwards by the English. English control of the island was confirmed under the Treaty of Breda in 1667. The Irish and English colonists began to transport African slaves for labor, as was common to most Caribbean islands in the 18th century. The colonists built an economy based on the production of sugar, rum, arrowroot and sea island cotton, cultivated on large plantations using slave labor. By the late 18th century numerous plantations had developed on the island, and many Irish continued to be transported to the island, to work as indentured servants. On 17 March 1768, slaves rebelled but failed to achieve freedom, but the people of Montserrat celebrate St Patrick’s Day as a public holiday due to the slave revolt. 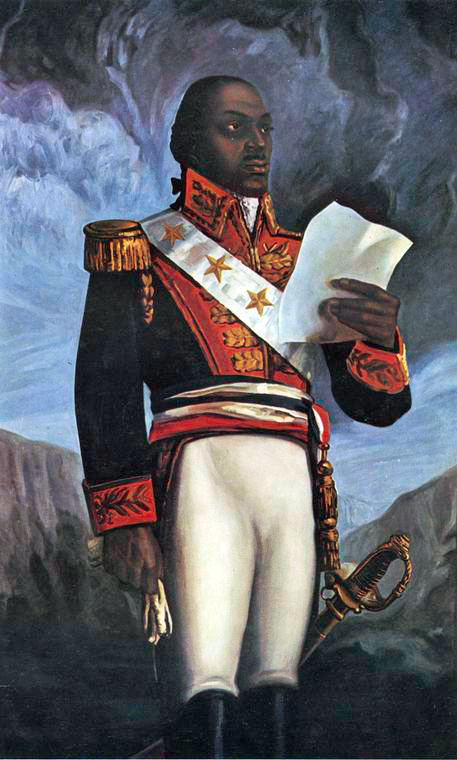 In 1782, during the American Revolutionary War, France briefly captured Montserrat after supporting the American cause. 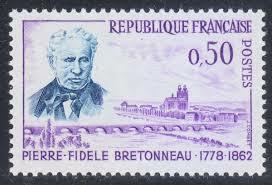 The French returned the island to Great Britain under the 1783 Treaty of Paris, which ended that conflict. 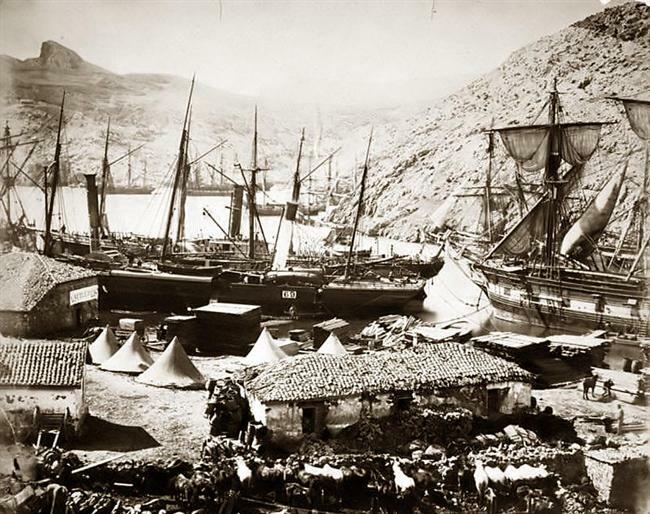 He frequently told me that in the year 1852, when mate of the brig Kaloolah, he went ashore on the island of Montserrat which was then out of the usual track of shipping. He said he was much surprised to hear the negroes actually talking Irish among themselves, and that he joined in the conversation. There is no evidence for the survival of the Irish language in Montserrat into the 20th century. 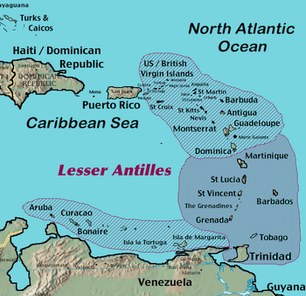 Britain abolished slavery in Montserrat and its other Caribbean territories effective August 1834. During the 19th century, falling sugar-prices had an adverse effect on the island’s economy. 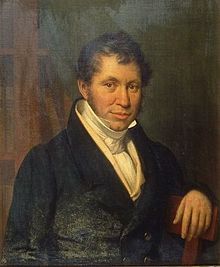 In 1857, the British philanthropist Joseph Sturge bought a sugar estate on the island to prove it was economically viable to employ paid labor rather than slaves. 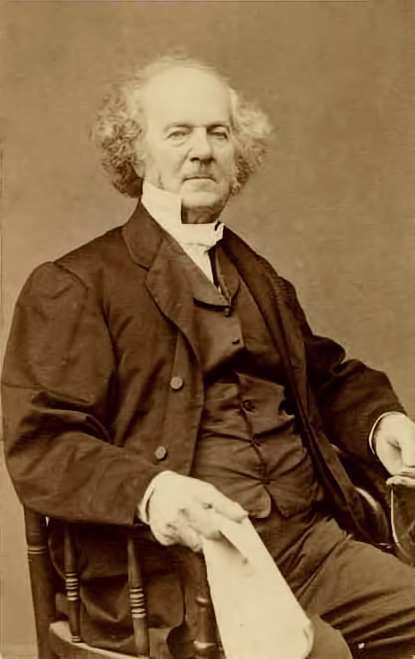 Numerous members of the Sturge family bought additional land. In 1869 the family established the Montserrat Company Limited and planted lime trees, started the commercial production of lime juice, set up a school, and sold parcels of land to the inhabitants of the island. Much of Montserrat came to be owned by smallholders. From 1871 to 1958, Montserrat was administered as part of the federal crown colony of the British Leeward Islands, becoming a province of the short-lived West Indies Federation from 1958 to 1962. In 1979, The Beatles’ producer, George Martin, opened AIR Studios Montserrat to provide a haven for harried musicians. The studios attracted numerous world-famous musicians, who came to record in the peaceful and lush tropical surroundings of Montserrat. 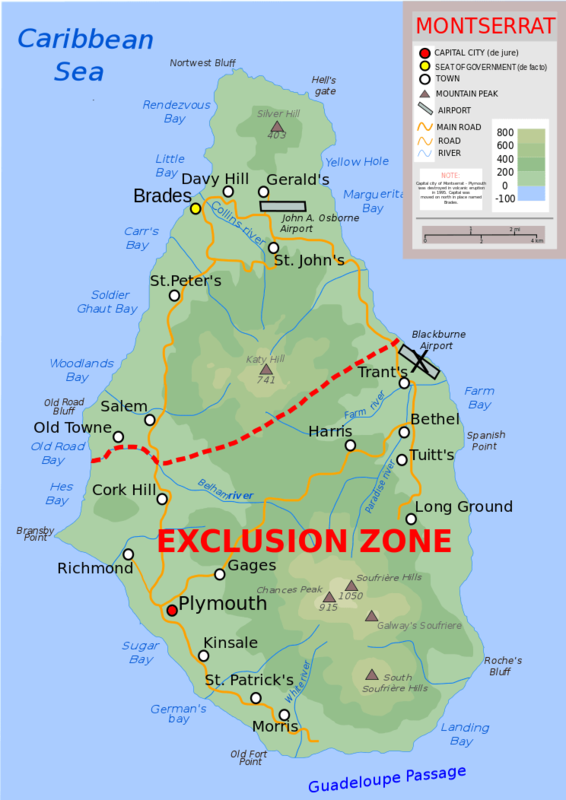 The last decade of the 20th century brought two events that devastated the island. 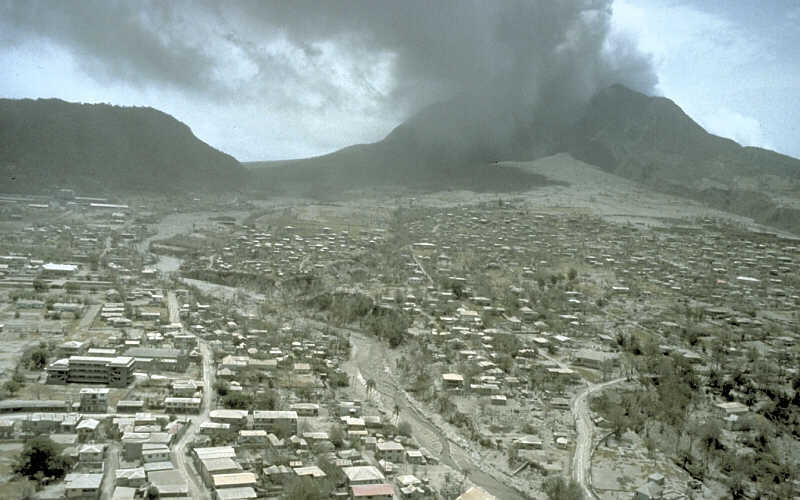 In the early hours of 17 September 1989, Hurricane Hugo, a Category 4 storm, struck Montserrat with full force, producing sustained winds of 140 kilometers per hour (87 mph). It damaged more than 90% of the structures on the island. AIR Studios closed, and the tourist economy was virtually wiped out. Within a few years, the island had recovered considerably, only to be damaged again, and even more severely, six years later by volcanic activity that started in 1995. The island now has a population estimated at around 6,000. Approximately 8,000 refugees left the island (primarily to the UK) following the resumption of volcanic activity in July 1995. Now, two-thirds of the population are between the ages of 15 and 64, the vast majority being of mixed Irish and African descent. It is not known with certainty how many African slaves and indentured Irish laborers were brought to the West Indies, though according to one estimate some 60,000 Irish were “Barbadosed” by Oliver Cromwell, some of whom would have arrived in Montserrat. Today is also the first day of National Dairy Goat Awareness Week in the U.S. which runs from the first to the second Saturday in June. It was proclaimed in the Reagan era to promote dairy products from goats. Ronnie praised goats as hardy, productive animals that were intrinsically linked to the history of the United States. I expect he had a good speech writer; this is the man who thought ketchup was a vegetable. 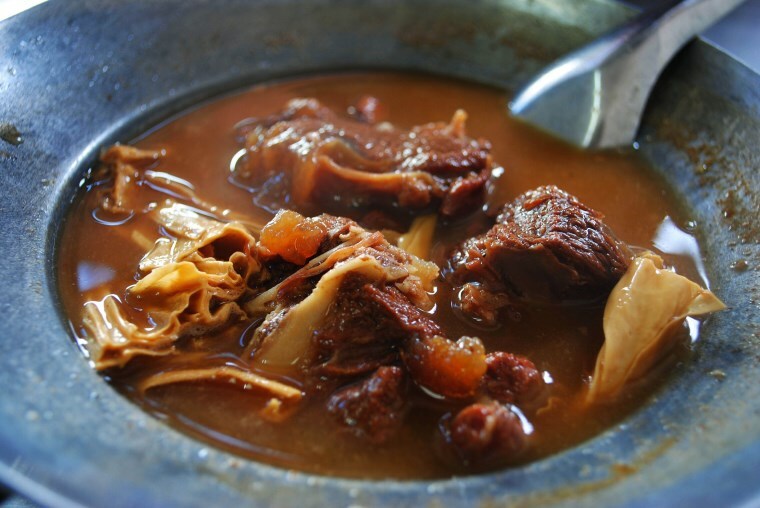 By coincidence, goat stew, known locally as goat water or kiddy stew, is the national dish of Montserrat. So you have a choice: cheese or meat. I buy goat cheese quite often when I can. I like its tang, especially in sandwiches and salads. I’m also a fan of goat meat which is harder to find, but is very common in Mantua, where I live now. There are numerous goat farms scattered around the countryside. Goats are common in the rockier regions of Montserrat, where they thrive. Milk-fed kid is as tender as young lamb, but mature goat requires lengthy cooking to be tender. It is more flavorful than kid, though. 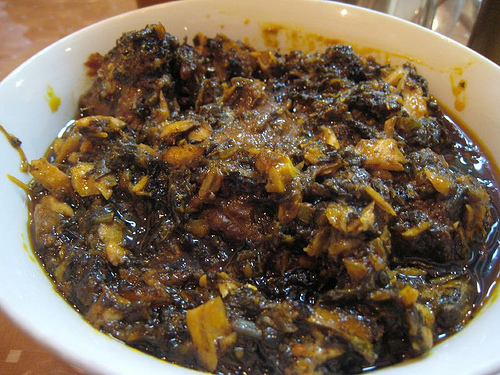 Goat water is prepared using goat meat, breadfruit, vegetables, onion, tomato, spices and herbs, and flour. Additional ingredients may also be used, such as rum, whiskey and various tubers. Not surprisingly, there is no canonical recipe; it’s all down to what’s available and cook’s choice. Here’s a reasonable recipe which you can vary as you like. The bouquet garni can have in it various herbs. Mine is normally sprigs of thyme, rosemary, and sage. Maggi cubes are made in Nigeria and are the ubiquitous flavoring in West African and Caribbean soups and stews. You can buy them online or in specialty markets. I’m not a big fan, so I use stock. Red chile peppers and tomato paste are also common ingredients, but I have omitted them here. Your choice. 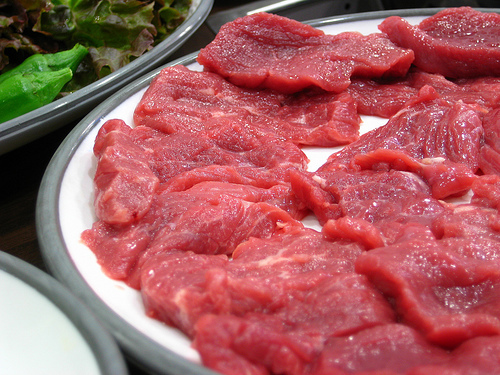 Cut the meat into serving pieces and season with salt and pepper. Heat cooking oil over high heat in a heavy pot and lightly brown the meat on all sides. 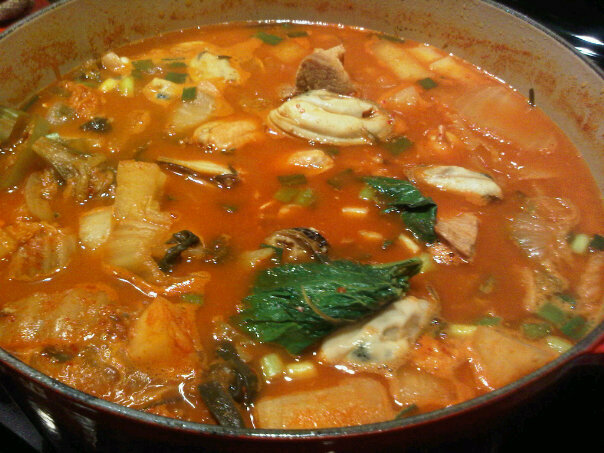 Cover with stock (or water with Maggi cubes) and simmer for at least 2 hours (longer if the meat is still tough. Gently sauté the pawpaw, breadfruit and onions and sauté in a little cooking oil, then add them to the meat along with a bouquet garni. Continue simmering. Mix 3 tbsp (45ml) of flour to a smooth paste with water and add 2 tbsp (30ml) gravy browning. Add this mix to the stew. With the remaining flour, make tiny dumpling (droppers) by making a dough of flour and water that is stiff. Mix the flour and water, a little at a time, until you have a firm ball. Knead the dough for about 20 minutes, then break off small pieces to form the dumplings. Add them to the stew and simmer until they are cooked, about 20 minutes. Serve in deep bowls with crusty bread (or white rice).